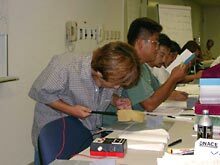 NACE (National Association of Corrosion Engineers) International Tokyo Section was established on last August 1 by the volunteers of the NACE member in Japan-domestic. 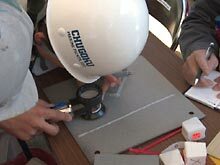 We are aiming to comply with the demand for coating inspector qualification related to this time, especially IMO, and complying with the demand for the education related to not only each industry, but also the cathodic protection. Since its inception more than 20 years ago, Coating Inspector Program(CIP )has become the most widely recognized coating inspector certification program in the world. The NACE Cathodic Protection (CP) Training and Certification Program is a comprehensive program designed for individuals working in the field of cathodic protection from the beginner to the specialist. The CP program is designed to provide a solid education in cathodic protection technology regardless of the individual's experience. In 2004, the program was expanded to include four certification courses. Copyright © 2018 NACE International Tokyo Japan Section All Rights Reserved.